How did you first get interested in acting/performing? That question is answered in my play – I just fell in love with theatre and performing. I won a scholarship from the British government to go to The London Academy of Music and Dramatic Art and I have now been a performer for 53 years. What was your first performance experience like? It was terrifying; I suffered from stage fright really badly – but I got over it and between acting and fronting a Rock & Roll band, I found my lifetime love. It was much easier to get girlfriends too. For many years, you’ve performed as part of a musical duo with Mary Avery. How did you and Mary get started? 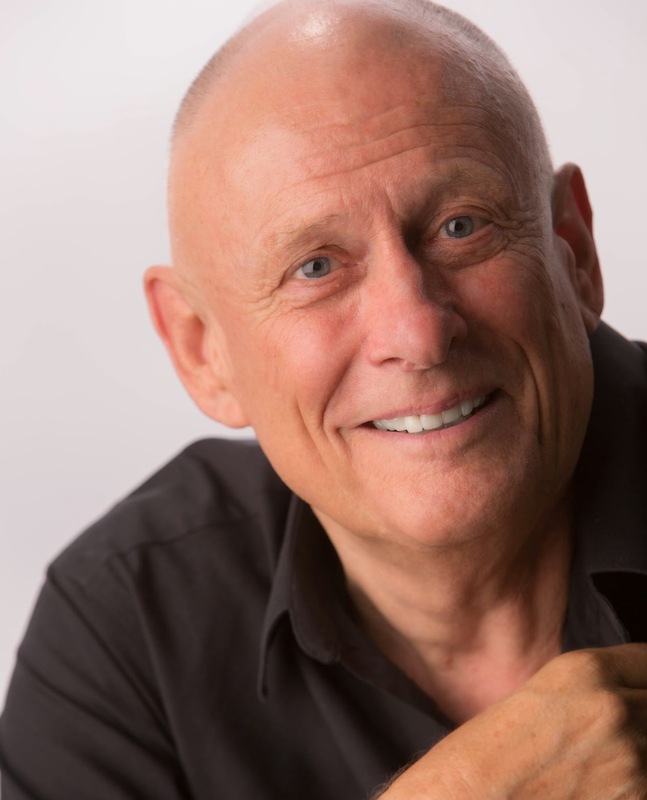 I was singing at the Mission Inn in Riverside, California back in 1971 and Mary came in one night with a choir who wanted Mary to sing with me – she did and has for over 40 years. We are now in our 44th year. We have sung all over the world. We were married for the first three years and she’s my best friend. How did the solo show come about? I have always told stories in between songs and I have been extremely lucky to do a lot of things in my life – working behind the Iron Curtain in the 60s, riding bulls in rodeos, racing cars and much more. So, I have a lot of stories which people really seem to like. You’re also a producer of other performers’ events. How has that helped you in fashioning your solo show? I think it’s the other way around – because I am a performer and I know what it is like to be on both sides of the “footlights,” I know what it takes to produce a show. A lot of well known celebrities have said that they like working for me or with me for that very reason. Tell us a bit about your show. My show is a collection of originals songs illustrated by stories from my life. Some are funny, some are sad, but it has been one hell of a ride. 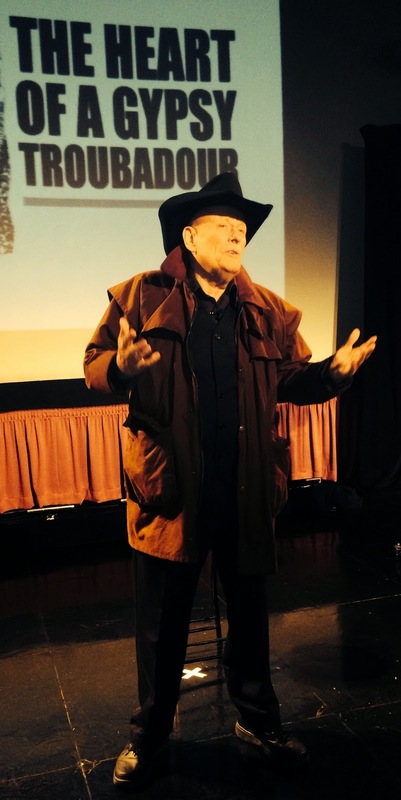 I have performed on stage for the past 53 years and as I said, I have always told stories as introductions to my songs - people always love the stories and say "You should write a book." Well, instead of a book I wrote a theatrical play - that's always been my dream. The Heart of a Gypsy Troubadour is a collection of stories from my life - stories from my cowboy days, stories from my car racing days, stories from the 60s when I spent time in Yugoslavia & Russia and performed behind the so-called "Iron Curtain", stories from Alaska and much more. The stories are highlighted with original songs - that is what troubadours do - they tell stories and sing songs. Some of the stories are funny, some are sad but you will agree - it has been a life well-lived. What would you like the audience to take away from having seen your show? I have thought about this topic a lot. The world needs steady working family people but it also needs the creative restless artists – the difference is not necessarily bad – but I want the audience to know my side of it – Pete Seeger once said that the audience comes to his performance either as couples or singles but by the time they leave they have become a family because they have shared, laughed and sung together. I’d like that. Is there anything you want the reader to know about you or the solo show? 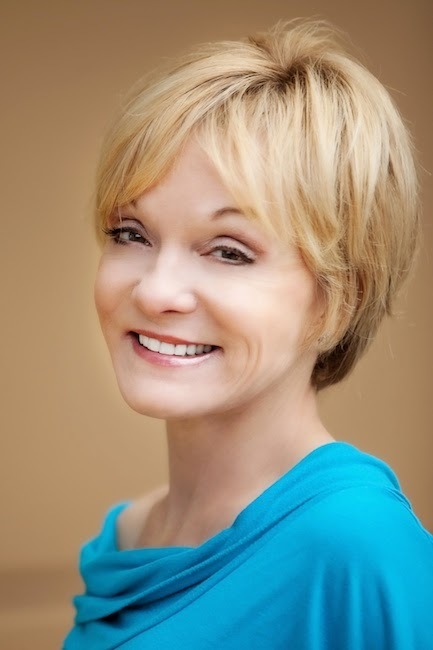 Actress/singer Cathy Rigby is preparing to open as the Cat in the Hat in 3-D Theatricals' production of Seussical February 7. Rigby talks about her love of the role and other theatrical delights. Why is the Cat in the Hat a favorite role of yours? I saw you play it at your theatre many years ago. Although the Cat seems to create chaos… His main objective in this play is to help "Jojo" understand that his imagination and creativity are wonderful!!! As well as valuable, and practical! In this story, Jojo's "Thinks" help him to save "Whoville" and all the people who live there. As with Peter Pan you bring such a sense of wonderment and fun to it. Audiences of all ages seem to take to the piece. Why do you think this is so? Whether you are an adult or a child there is something for everyone…The characters, including Horton the Elephant, Gertrude Mcfuzz, The WHO's , the Sour Kangaroo…JoJo etc. in Seussical, are trying to figure out how to fit in, have their voice heard, deal with war, and many other personal and social issues. (Ie ,War, bullies, hypocrites… "Being different" hopes, dreams etc.) It's all done with beautiful lighting, whimsical characters and most of all fantastic music by Lynn Ahrens and Stephen Flaherty. How is it working with 3-D Theatricals? To me their professionalism is a perfect match for what you and Tom have established at La Mirada. You make it worth traveling south to see a show. It's really quite exciting to work as a real theater community. 3-D theatricals has been a real friend to McCoy Rigby Entertainment and the La Mirada Theater for the Performing Arts. We all want to do great work and higher talented theater folks, whether it's artistic directors, actors, musicians, crew, front-of-house ushers...We are all part of an effort to keep theater alive and well and growing in Southern California. Talk a little about your cast and director for Seussical. I've worked with a few people before but many of the actors are new to me. But once you work with a cast and crew they become part of your extended family. That's the great part of our rather "Gypsy style" working situations. You meet people very quickly, become close and then see them in another production somewhere. David Engel and I have done other productions. He worked with us at the La Mirada theater for the performing arts in a few shows and of course I worked with him in Seussical on Broadway. I love his passion and enthusiasm as a director and choreographer. Specially with this show because he started with it when it was just a workshop in NY. If anyone understands or has the insight into the characters, the music and the book it's David. TJ Dawson is simply one of the most caring, passionate, and talented producers. We are very fortunate to have him in Orange County. When I last spoke to you, you told me you wanted to play Madame Thenardier in Les Miserables, so when you mounted it - beautiful production, by the way - at La Mirada, you didn't do it. What happened? I'd like to see you do this. Your sense of comedy and physicality are perfect for it. Thank you for the compliment. Les Mis turned out better than Tom and I could've ever hoped. Thanks to the incredible effort of all the artistic designers, actors, production staff and especially Dana Solimando who managed to stage many of those big scenes during our tech rehearsal. Les Mis was a huge undertaking. It's one thing when you have months and months to mount a show of this size and scope..vs three weeks, and as far as playing Madam T, I was so busy with our "McCoy Rigby Conservatory"in Yorba Linda, I thought it would be a bit much trying to take on a brand-new role like this and working with our kids. What else is in the air for the future for you and for your theatre? Well our next production is the world premiere of Pride and Prejudice, and we are in talks with producers around the US, Canada, Asia and Europe to bring some of our La Mirada shows to their venues. Whatever Cathy Rigby puts her mind to, you can bet it's a worthwhile and entertaining venture. 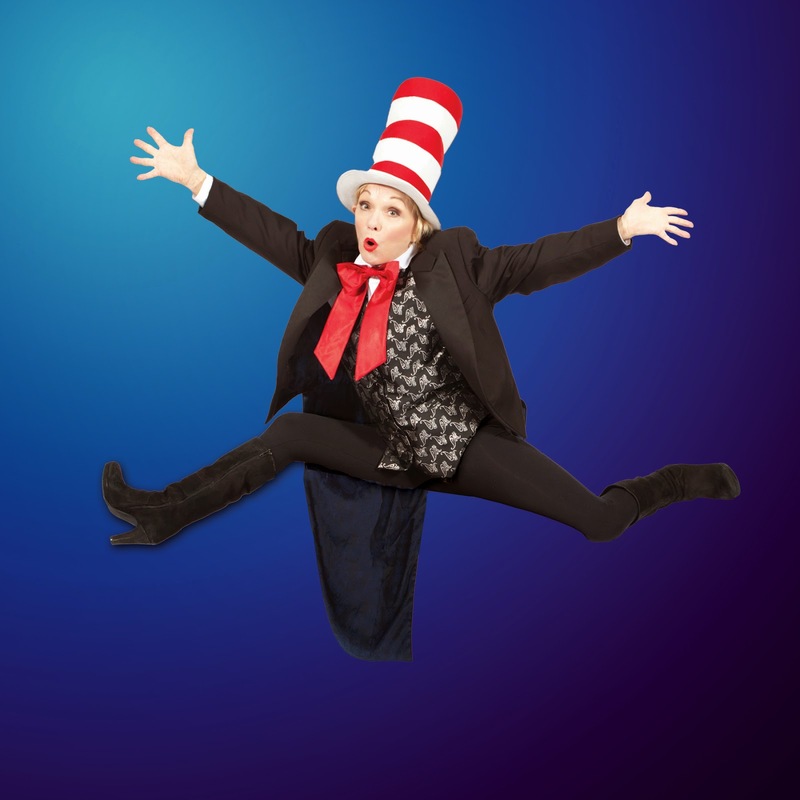 Catchher in Seussical for 3-D Theatricals in Fullerton and then in Redondo Beach at the Redondo Beach Performing Arts Center. Ticket info is at the link below.